During the late 19th and early 20th centuries, a new style of gardening was developing that left behind stiff formal Victorian plantings. Women gardeners and landscapers, both professional and amateur, were part of this movement from the start. Influenced by both Arts and Crafts architecture and impressionist painting, it looked back to informal cottage gardens and native plants. 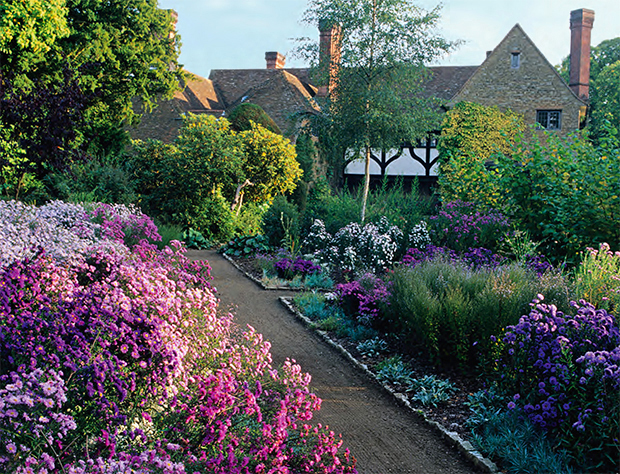 Two of its finest examples of the new “English” style are Munstead Wood designed by Gertrude Jekyll and Vita Sackville-West’s Sissinghurst Castle Garden. Both are near where Jenny Rose grew up and have influenced her work. Gertrude Jekyll designed over 400 gardens during her career. She wrote numerous articles and books. She is widely responsible for popularizing the large, informal floral borders, so popular today. 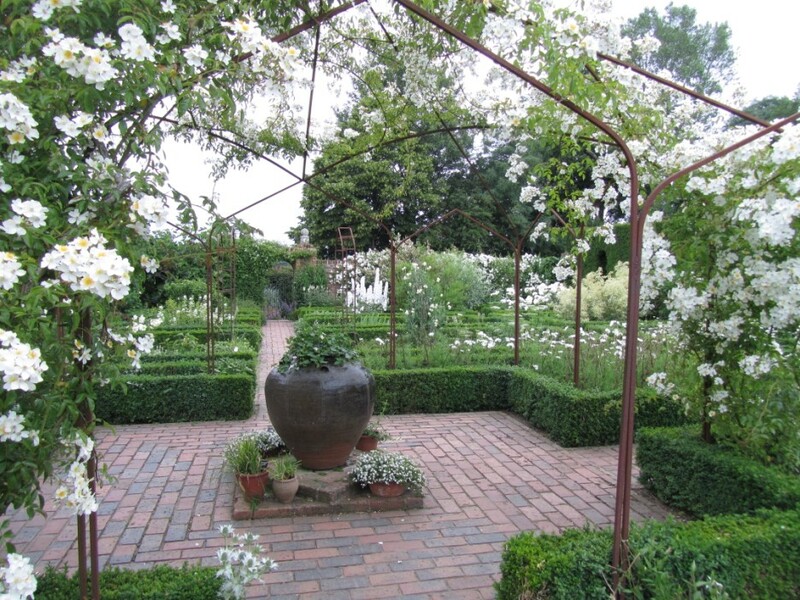 Vita Sackville-West’s White Garden at Sissinghurst. Vita Sackville-West, from an illustrious British family, developed her own garden at Sissinghurst Castle into one of the the most influential gardens of the early 20th century. It is know for a series of garden “rooms”, each with its own theme. Her “white garden” started a passion for white blooms that continues until today. When Jenny Rose Carey moved from England to the United States and enrolled at Temple University Ambler, she found herself in one of the American historical centers of women and gardening design. 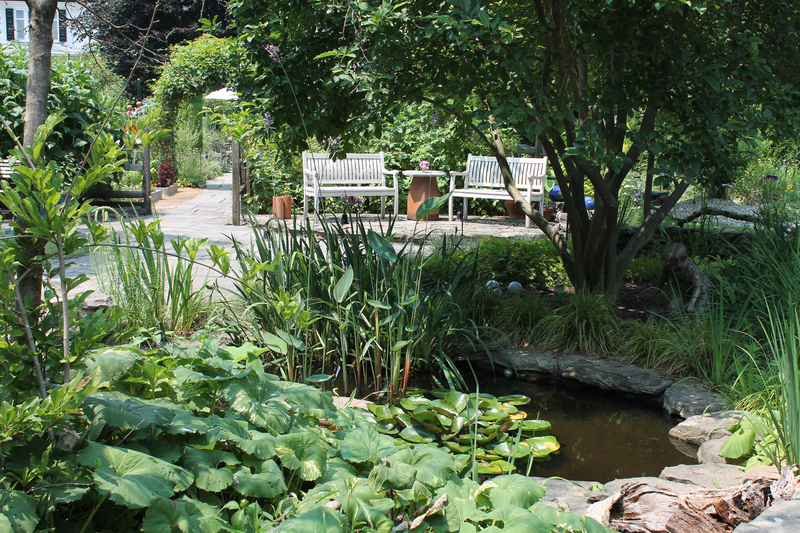 Founded as Pennsylvania School of Horticulture for Women, Ambler was started by Jane Bowne Haine in 1910 to introduce Americans women to English and German garden ideas. It was at Ambler, inspired by British women’s garden organizations, that Miss Haine, Mrs. Francis (Louisa) King and Hilda Loines organized the Woman’s National Farm and Garden Association in 1914. The WNFGA celebrated its Centennial at Ambler. During her graduate studies at Temple University Ambler, Jenny Rose was able to draw from these many sources when she developed her gardening style. 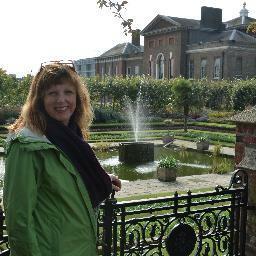 While speaking to us during the Daffodil Day Luncheon, she will expand on the development of Women in Landscape and Gardens of the Golden Age and how it influences the way we garden today.